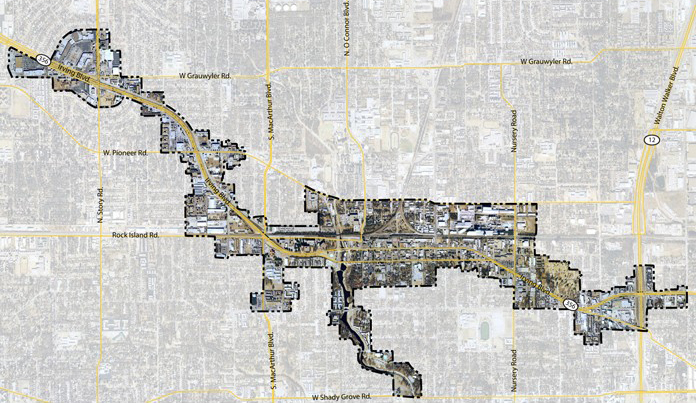 Work for the City of Irving DPED examined the feasibility of a Tax Increment Reinvestment Zone (TIRZ) to fund the long-term redevelopment initiative for the Irving Boulevard Corridor. The study identified needed infrastructure improvements, recommended streetscape enhancements and introduced both short and long range land parcel redevelopment strategies all geared toward stimulating and sustaining the redevelopment effort. The project and financing plan established the framework for a 30 year TIRZ in the heart of their historic downtown.